Pirate costumes are some of the most popular Halloween choices. From cutlasses to long beards, talking parrots to walking planks, pirates are known for their ferocity and taste for adventure. Pirates are popular even outside of Halloween, with renaissance festivals, video games and pop culture conventions frequently featuring the feisty fiends. If you’re a fan of Talk Like A Pirate Day (September 19), you’ve gotta try a pirate costume at least once in your life. Or a couple times. Heck, why not be a different pirate each year? There horizon o’er the seas is the limit! What makes an amazing pirate costume? Let’s dive right in and find out, ya scallywags! There’s no shortage of unique pirate styles in pop culture. Jack’s signature look features baggy, comfortable clothes with loose, classic pirate elements. Dirty brown contribute to the pirate look, along with that dashing smile. Notice a few similarities? 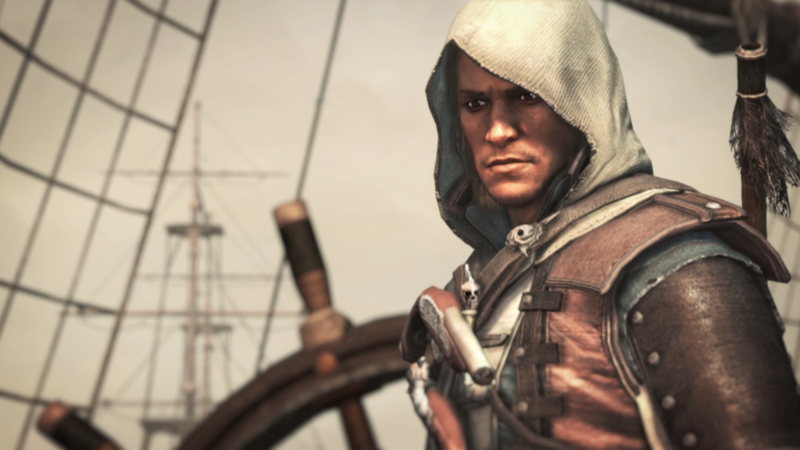 A character from Assassin’s Creed, Edward shares more than a few similarities with the famed Jack Sparrow, brown-and-white themed clothing, rugged leather elements and easy access to a pistol give Edward a signature pirate look. The difference? A white hood, a stern look, and an Assassin’s vibe. With our huge assortment of pirate costumes in stock, you’ll be able to find any pirate look you’d want for Halloween. From belts and bucklers to straps and hats, you’re all set to raid the seas! Speaking of pirate hats. 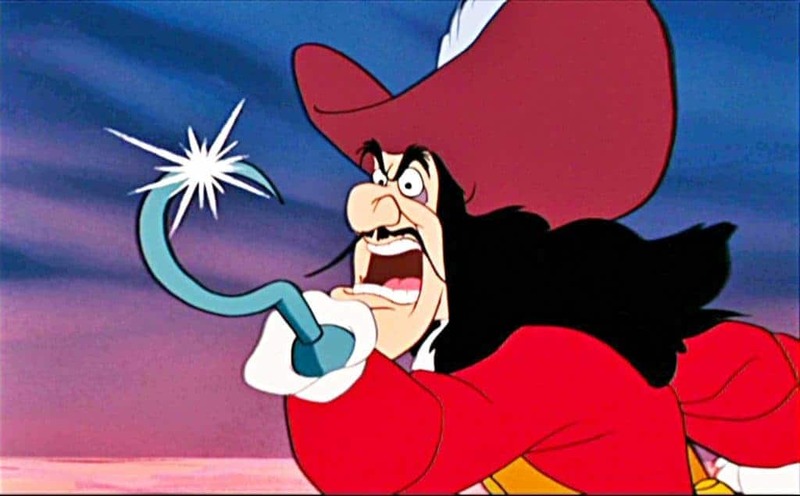 Ever wondered what Captain’s Hook hat was called? It’s called a Cavalier Hat, and it’s pretty good at keeping you away from hand-eating crocodiles. One thing to consider in your pirate repertoire is your signature hat. What’ll you wear, cap’n? A Cavalier Hat, a Skull Bandana, or Jack’s signature three-point hat? Y’arr, the choice be yours for the taking! The accessories don’t stop at the head, boys! A pirate isn’t worth his salt without weapons. Get your cutlass, your pistol, your daggers rarin’ to go! With weapons in hand, you’ll be ready to lay claim to your pirate prize: Fame, Fortune, and Halloween Trick-Or-Treatin’ Candy! For the full pirate look, you’re gonna need your parrot to mimic yar gnarly speech, an eyepatch for accuracy, and fake blood to complete the genuine article. One last thing you’ll need – your crew! At Halloween Alley, we’re your Pirate’s cove, ready and waitin’ to stock yer mates with the latest pirate clothes and gear so they’re all set to follow the cap’ns orders. Arr ye ready to raid yer neighborhood for delicious goodies and treats this Halloween? You will be.